A lot changes during the course of someone’s lifetime and that includes their own appearance, from wrinkles to grey hairs and more, but although we change as we age we still very much stay the same person – or as we’d like to believe, a wiser and much better version of our former selves. 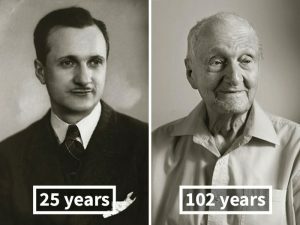 With this in mind for his latest project photographer Jan Langer has put together a series titled “Faces Of Century” which is a look back at Czech centenarians and how they’ve to change or sometimes stayed exactly the same over the course of their lifetimes. 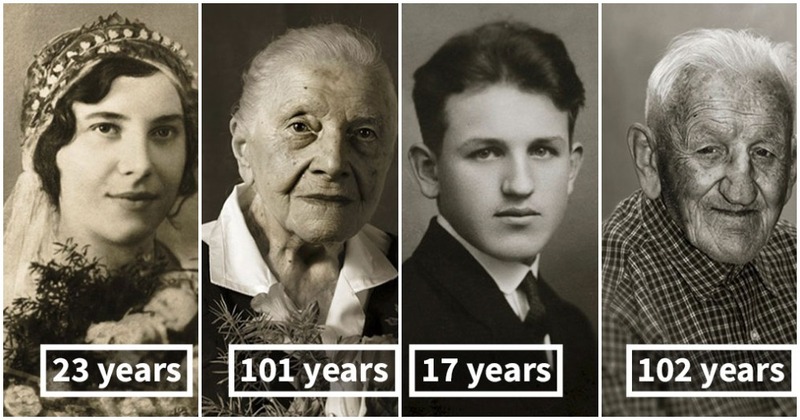 It’s a fascinating project that leads us to wonder what each of these individuals has been through or experienced in their lifetimes and what’s lead them to be where they are today. Although time may have changed their appearance their identities remain stronger than ever. On the left, she is 23 years old at her wedding. 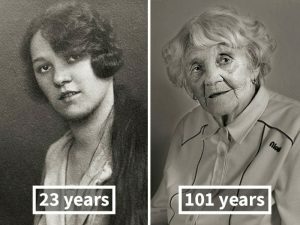 On the right, she is 101 years old and her current hobby now is chatting with her family. On the left, she is 23 years old and has just completed high school. 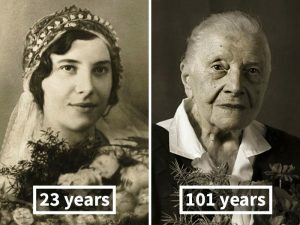 On the right, she is 101 years old. Her greatest wish is to have her family together again.